MIAMI - Dwyane Wade made a pair of free throws with 3.2 seconds left for what became the winning scores, and the Miami Heat rallied from down 19 early to beat the Utah Jazz 102-100 on Sunday night. Hassan Whiteside scored 23 points and grabbed 20 rebounds for Miami, which got 16 apiece from Josh Richardson and Kelly Olynyk and 15 from Wade. Ricky Rubio led Utah with 23 points. Jae Crowder scored 19 and Donovan Mitchell had 18 for the Jazz. Mitchell had a chance to win it, but his 3-pointer from the left wing bounced off the rim to cap his 8-for-24 shooting night. Wade went down the lane for a 100-97 lead, one possession before Rubio onnected on a 3-pointer to tie the game. After a stop, Mitchell missed a chance to give the Jazz the lead -- and the Heat, as they had so many times before, put the ball in Wade's hands. He drove past Mitchell, drew contact from Rudy Gobert and coolly made the two free throws as Miami won its second straight. Gobert had 12 points and 18 rebounds for the Jazz. Wayne Ellington had 12 points, all of them on 3-pointers -- including one with 2:03 left that gave Miami the lead, and the Heat wouldn't trail again. The Jazz ran out to leads of 20-5 and 35-16, shooting 65 percent -- while holding Miami to 28 percent -- and turning the first six Heat turnovers of the night into 12 points. And then Utah suddenly went ice-cold. Miami went on a 20-0 run, forcing Utah into 14 consecutive missed shots, to turn the 19-point deficit into a one-point lead. No Miami player had more than five points during that burst, Wade had three assists and in real time -- not game time -- Utah's scoreless drought went for 20 minutes. 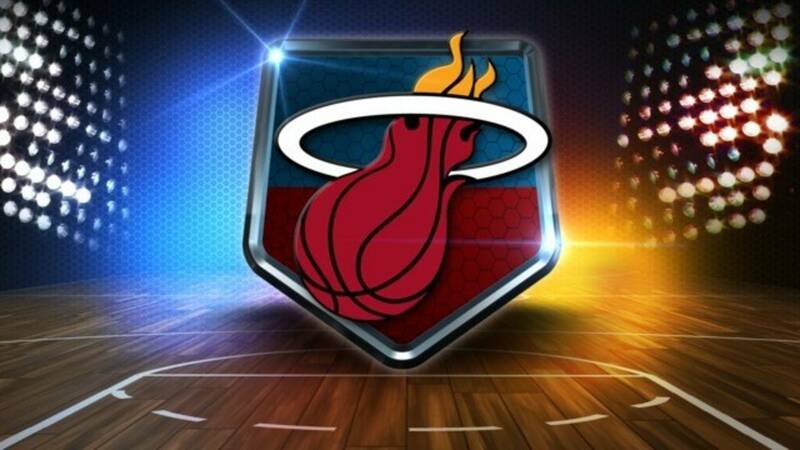 Heat: The 20-0 run was Miami's longest of the season, topping a 17-0 streak at Chicago last month. ... The Heat were back in their red jerseys, a second consecutive deviation from the schedule. Miami was slated to wear its black "Vice" jerseys again Sunday, but much like Friday -- when the Heat snapped a six-game home slide that coincided with the unveiling of those kits -- the team went a different way. Miami's injury list -- which already included Goran Dragic (knee), Tyler Johnson (hamstring), Derrick Jones Jr. (hamstring) and Dion Waiters (ankle surgery recovery) -- got deeper in the first half. Starting wing Rodney McGruder, one of Miami's top defenders, left with a sprained right ankle and did not return. It's a strange schedule this year for the Jazz, who have now played 24 games -- a league-high 16 on the road, a league-low eight at home. The first half of the year has Utah playing 25 times on the road, 16 at home, and obviously the exact inverse of that awaits the Jazz in the season's second half.